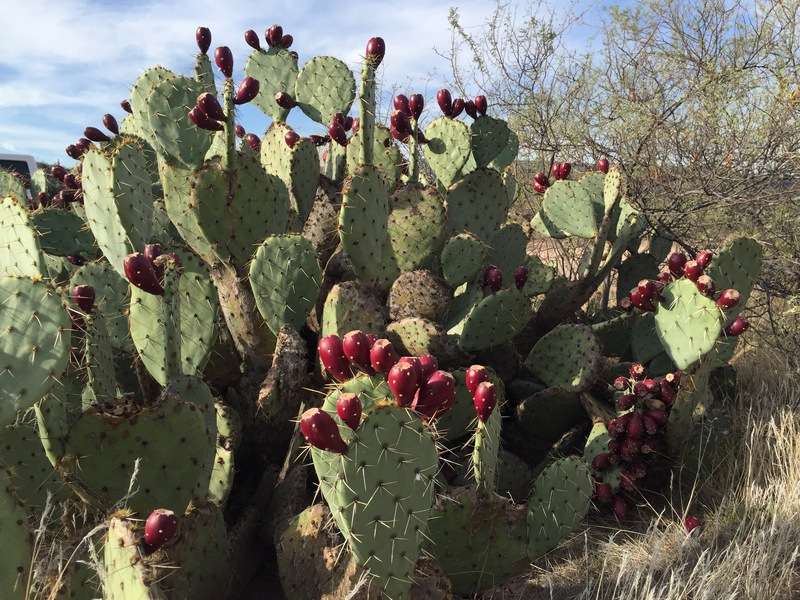 Driving out of the wilderness I saw this prickly pear cactus plant overflowing with fruit. Dozens of pears had already ripened and fallen to the ground. 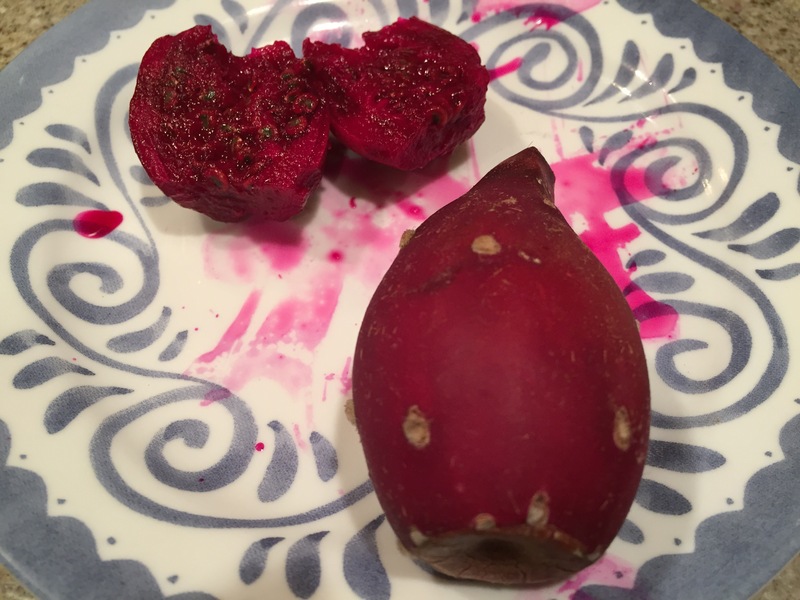 I’d never eaten prickly pear fruit, but thought it would be a fun thing for me and the family to try. I grabbed a plastic sack out of the trunk and picked up about a dozen fallen pears from the ground to take home. Yikes! They have secret little spikes lying on their surface that stick into your skin when you touch them. There are the sticky-outy spikes that are obvious, but they have secret fine little hairlike ones that you don’t really notice until its too late. I extracted most of them while internalizing the lesson never to pick them with my bare hands again. Indigenous people used forked sticks to harvest the fruit. Um, yes. Good idea. Look at the difference in quality between the fresh fruit and these I saw at the store the next day. Beyond compare. Once when I was at the Grand Canyon gift shop I purchased a small jar of Cactus Jelly to take home as a souvenir. I paid about $6 for a 4 oz. jar of Cactus Jelly. My youngest son loved it. This day I decided to make some more and see if the homemade could compare to the stuff I bought. First I gripped the fruit with tongs and held them over the burner for a couple of seconds each to burn off the spikes. It worked like magic. Smooth Fruit. Then I peeled off the skins like peeling a tomato. Then I mashed the fruit up in a bowl, poured it into a double layer of cheese cloth, then squeezed the juice out of the mash for dear life. I squeezed and squeezed and squeezed until I got every drop I could out of the fruit then threw the pulp and cheesecloth away. 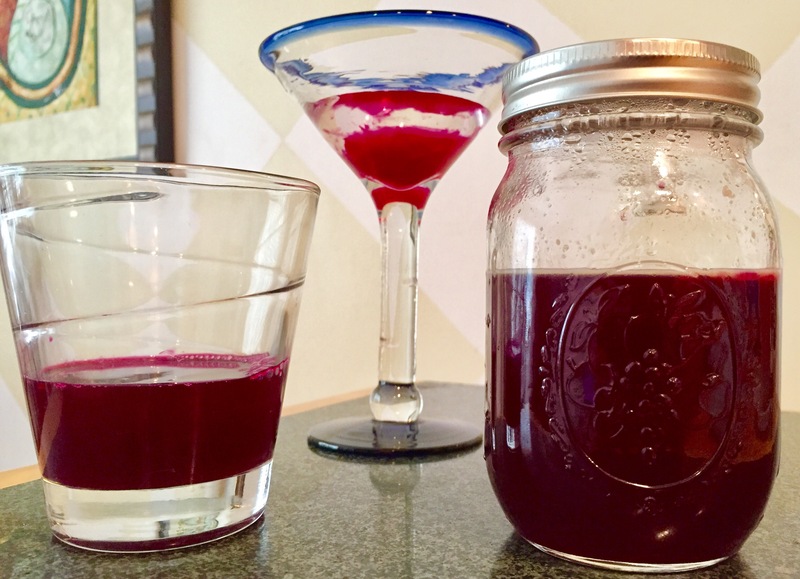 I followed this recipe to make low sugar cactus jelly: http://www.rootsimple.com/2010/08/low-sugar-prickly-pear-jelly-recipe/ I only had about a dozen prickly pears so I modified the recipe so I could have some juice left over for us to drink. With only one dozen prickly pear I ended up with 1 cup of jelly, one vodka cocktail, and about 3/4 cup of juice for my son to try, for him to medium-like and reject, and for me to pour into another cocktail. Winning! The cactus jelly turned out beautifully and much better than the stuff I bought pre-packaged. It was a deeper red and very flavorful, so much less diluted. 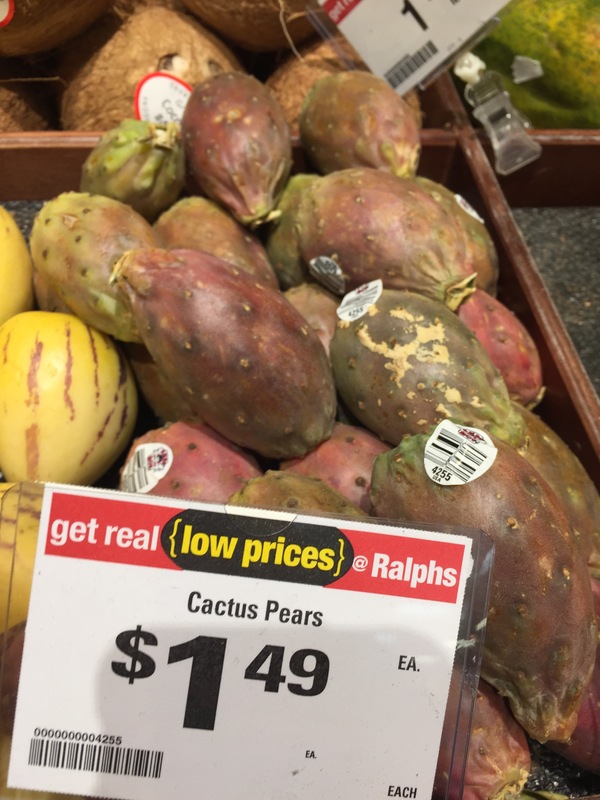 Prickly pear is full of Vitamin C and calcium. It was a lot of fun to harvest a little bit of wild fruit from the land and make something fun and delicious from it. It turned out well and was very easy. Prickly pear are ripe now. This is the season. If you can come by a plant, grab a few fruit and give it a try, just be careful to wear leather gloves or fine a sharp stick to pick them up with or you’ll be sorry. I just slice & simmer the pears…and rely on filtration to remove the nasty stuff from the juice.